The Michigan Wolverines and Ohio State Buckeyes have one of the most prestigious and bitter rivalries in all of sports, so if a 62-39 loss to OSU lat season at the Horseshoe and dropping their seventh straight matchup in the series wasn't a painful enough pill to swallow, defection to the enemy is straight-up torture. Just ask Chris Partridge. 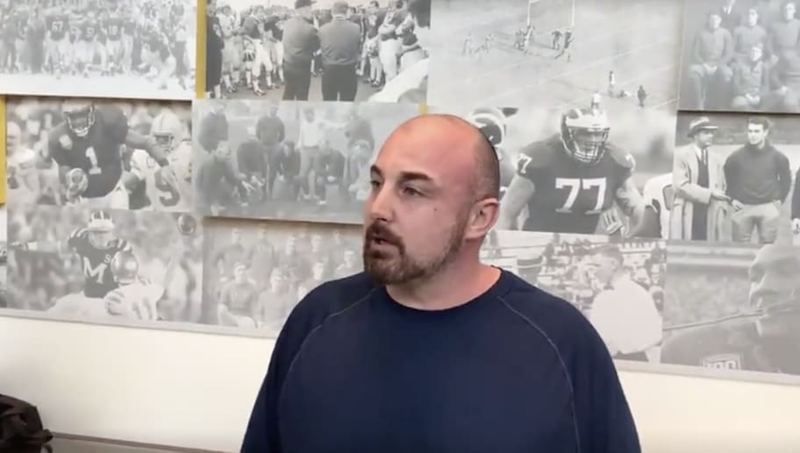 Partridge, currently serving as safeties and special teams coach for the Maize and Blue, is referring to ​Greg Mattison and Al Washington, who had been the Wolverines defensive line and linebackers coaches, respectively, until packing up from Ann Arbor to join Ryan Day's staff in Columbus. The former spent 14 total seasons in Ann Arbor, including two different stints as defensive coordinator under head coaches Lloyd Carr and Brady Hoke. #Michigan has played itcool this offseason regarding questions about Greg Mattison and Al Washington leaving for OSU. While head coach Jim Harbaugh ​seemed a bit more mellow over the departure of these two coaches -- who did see a large pay increase to join the Scarlett and Gray -- Partridge presses on that no matter what. Mattison has coached under both Harbaugh brothers, having spent three years with older brother John with the Baltimore Ravens from 2008-10. He was also under Jack Harbaugh -- Jim and John's father -- as defensive coordinator at Western Michigan in the 1980s. Partridge's hard feelings are not going to go away soon. Notably, UM hosts the Buckeyes this year in the Big House on November 30, and can try to make Mattison and Washington's return as unpleasant as possible.